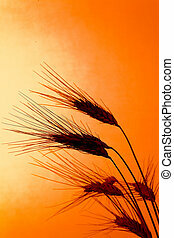 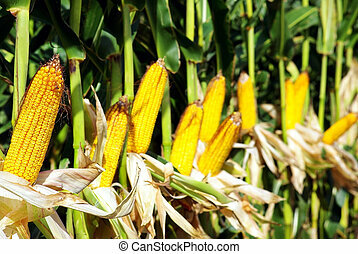 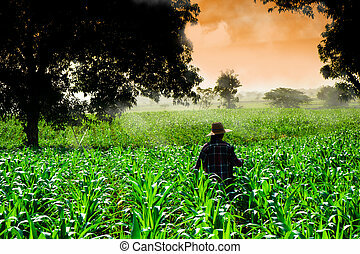 Farmer walking in corn fields at sunset. 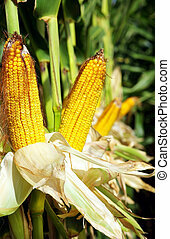 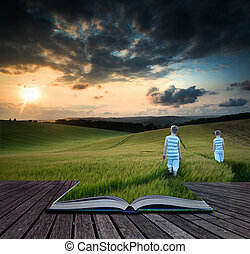 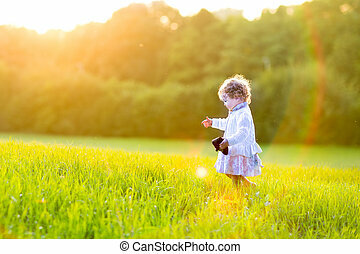 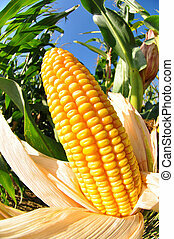 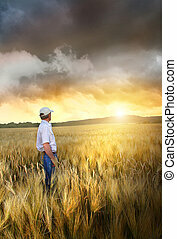 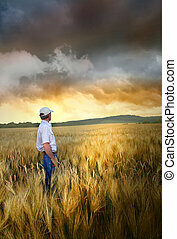 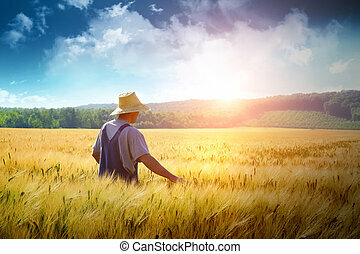 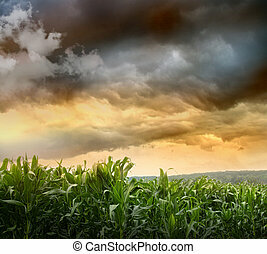 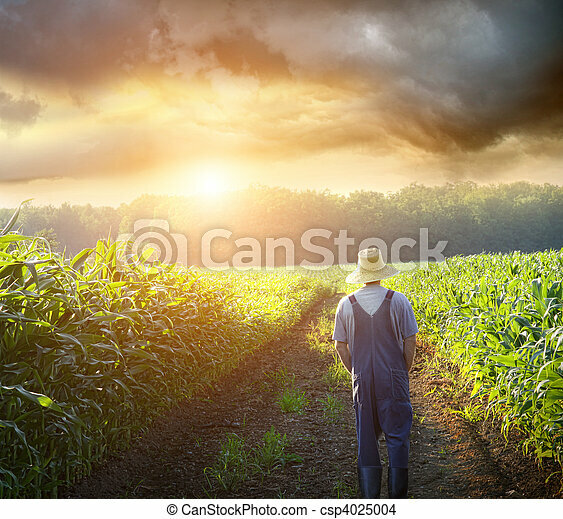 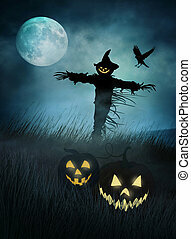 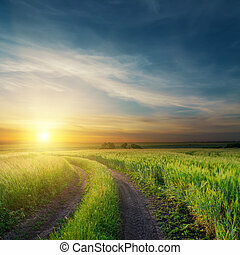 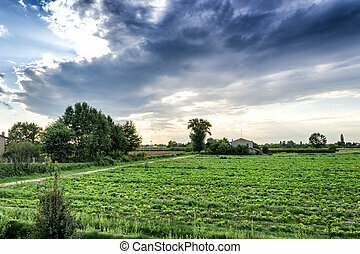 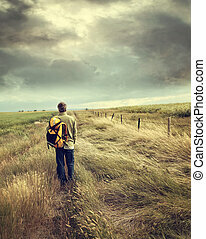 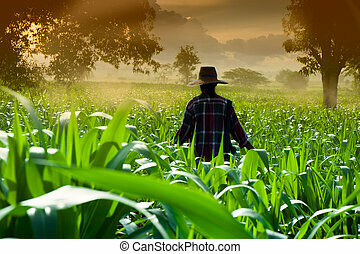 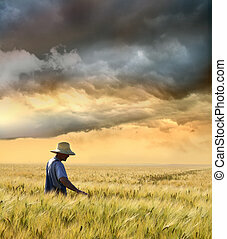 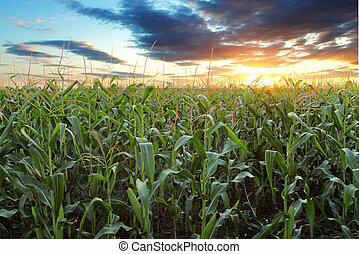 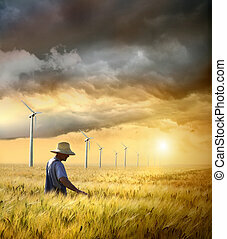 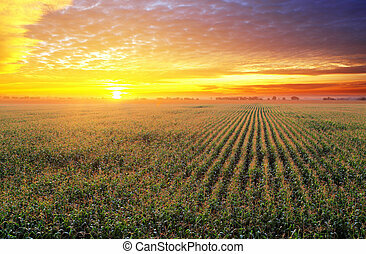 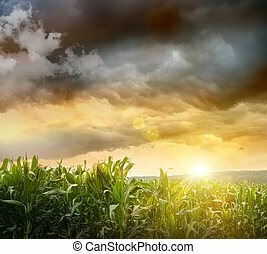 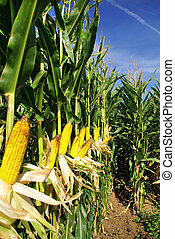 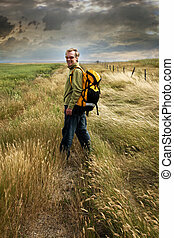 Farmer walking in corn fields with beautiful sunset. 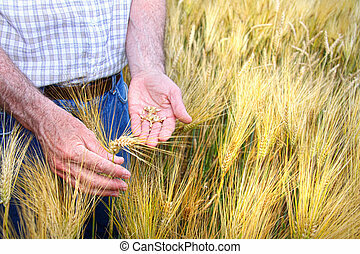 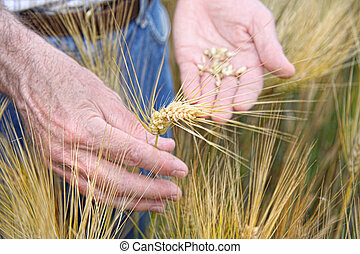 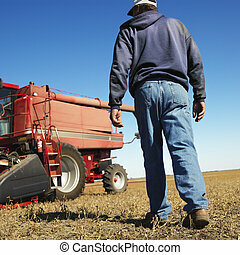 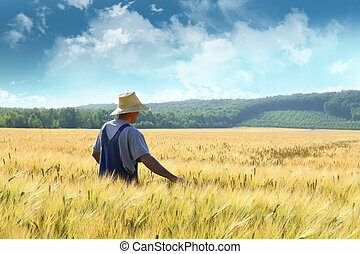 Low angle back view of Caucasion middle-aged male farmer walking toward combine in soybean field. 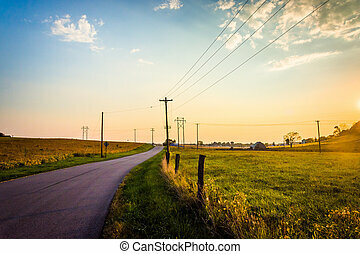 Sunset over a country road and farm fields near Hanover, Pennsylvania.